Yesterday I received a comment from a friend that contained several questions, and I wrote a comment in response that really needs to be a blog post, even though it's not something I'd ordinarily write about. There will be no pictures, either, for which we are all grateful. Not even links to pictures of some of the topics (but I found some great links for others). The short answer: NO, using wool is not cruel. It involves a symbiotic relationship between two species. Sheep either shed their wool and it can then be gathered for human use, or they are shorn for health reasons and the wool then becomes something the sheep doesn't need any more and humans are free to use. With the breeds that shed, which are relatively uncommon these days, the symbiosis is an example of commensalism, in which one side of the exchange (humans) benefits and the other (sheep) is neither harmed nor aided. With shearing the relationship is one of mutualism, where both sides benefit. Either way, the sheep are not harmed by the use of their wool. Yet there are reasons why this discussion of cruelty takes place. Hi Deb, A well-meaning but misguided vegan acquaintance told me it was cruel to knit with wool and that man was mistreating sheep for their wool. I think she based that outrageous statement on what she heard about Australian merinos. Can you discuss a bit about the need for man to shear sheep (are there sheep that don't need shearing? and why the majority do need shearing?) and can you educate me on the whole merino controversy thing? If the above questions are not to your liking/not your area of interest, I'll understand. Hi, Dina. Ah, yes. As a vegetarian advocating for sheep, I take some heat from both sides. The current economy requires that flocks be managed for their meat sales; I've been accused of being disloyal to the entire enterprise of raising sheep because I don't eat meat. On the other side, well-meaning vegetarians and vegans who haven't been around sheep—or who have seen some of the information on a particular practice with Australian Merinos—react hard in the "cruelty" direction, as your friend has done. I've studied the issues involved. I am comfortable with my own life choice in being a vegetarian. I've been one for a very long time. While recognizing the realities of the contemporary market, part of my work—in alignment with my personal philosophy—has the intention of increasing the economic value of wool as a way of supporting the shepherds in their work, so that fiber becomes a bigger part of the overall picture and a more substantial reason for maintaining healthy, contented flocks of these amazing animals in all their astonishing diversity. And as I have studied sheep and other fiber animals I have had to look at the accusations of cruelty in order to get a comprehensive picture of why this controversy exists and what my thoughts about it are. The practice your friend has heard about is called mulesing, and don't put that term into your search engine unless you want to be grossed out. (I've linked to a Wikipedia article that gives a good overview with no illustrative material.) It's appalling, and some of the photos are worse. I don't like to think about it, much less talk about it. THAT SAID, I have done my research, because I needed to know. (1) The practice prevents flystrike, which can be gruesomely painful and fatal to the animals (worse than the mulesing, which is why it's done—and there are also photos on the web of flystrike resulting in death) and (2) the practice is being eliminated, although it has not been completely phased out because alternatives to prevent flystrike need to be in place or the elimination of the practice will result in more suffering for the animals. Australia has massive flocks of Merino sheep. Management techniques for livestock on that scale are very different than the management techniques used for smaller flocks, or even of huge flocks of breeds other than Merinos, who are noted for growing large quantities of exceptionally fine wools. Merinos have also been bred to have skin that occurs in loose folds (producing more surface area for the growing of more wool), which increases their susceptibility to flystrike. Climate is a factor, as are seasonal variations; flystrike is worse when it has been especially rainy. In areas where flystrike occurs and the resident animals are susceptible to it, it needs to be prevented. Mulesing as a practice for controlling flystrike is something I'd love to see disappear completely . . . yesterday, or sooner. 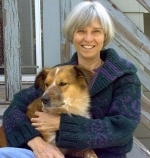 There's an interesting article on the topic—one of the authors is Bernie Rollin, a well-known animal ethicist whose work I respect enormously—in one of the scholarly journals. Getting a copy of the entire article requires $$ or access through an academic library, but the abstract gives the gist. Management in flocks that are less than massive can provide more individualized attention to the sheep (including Merinos). That means that husbandry practices can also be individualized. The sheep I frequently write about that are on the RBST and ALBC lists are in small flocks. There aren't enough of them to make really big flocks (which is okay: they don't fit environments that can handle large flocks). In fact, the Australian Merino situation does not reflect general sheep husbandry practices in other breeds and other parts of the world, for many reasons. It has changed some already, and it does need to change more. There are sheep that don't need shearing. They fall into two basic groups: hair sheep (they may have wool as well as hair, but not much and it sheds) and the so-called primitive breeds that shed seasonally. As humans have kept sheep over the millennia, they have bred to maximize the soft wool and minimize the hair and kemp components of the three-part original fleece. (The Merino has no hair or kemp at all.) Hair is a useful item, although not for soft clothing, and kemp produces a tweedy texture. However, for processing it's easiest just to have wool and not to have to separate out, or deal with, the three types of fiber. Breeding that emphasizes wool was a convenience for hand processing and a necessity for mechanical processing on a large scale. Along with the increase in wool percentages in a breed's fleeces, and the drop in hair and kemp components, came a loss of the natural tendency to shed. (Genetics is complicated: when you get one quality you want, you may lose another that's useful.) This led to the need to shear. It can also be more convenient to shear: all the wool at one time, from all the sheep, in one location. Beats pulling it off bushes. In addition, although some sheep—even some Merinos—can go without shearing for quite a while (do check out the story of Shrek the sheep in a search engine), leaving the wool in place for too long can result in skin problems and other health difficulties. A good shearer will remove the fleece in one lovely piece without causing any distress or injury to the animal. There's a lot of skill involved. In fact, after a proficient shearing the sheep will bounce back onto its feet and dart away, looking like it's just taken a weight off. (It should have been immobilized by the shearer in a comfortable position: a lack of struggling and a benign look on the sheep's face indicate that the position is right.) The shearing process, done well, looks almost like a dance: yes, there's a lot of muscle in it—dance requires muscle, too. We need more good shearers. And lots more dancing. Although I haven't shorn sheep myself (I have clipped a goat), I've watched shearers on many occasions, in several cultures, and have also attended a shearing school and watched people learning to do this work. I read Godfrey Bowen's Wool Away: The Art and Technique of Shearing shortly after it was published in 1974. I recommend it strongly for an understanding of the process. Another fine resource, with great photos, is Kevin Ford's Shearing Day. There are great opportunities to watch shearing demonstrations at fiber festivals. I most enjoy watching blade-shearing: the level of skill involved is amazing, and it's beautifully efficient. Blade-shearing involves the use of shears, like great big scissors, rather than mechanical clippers. Blade-shearing leaves more wool on the sheep than mechanical shearing—not as close a haircut, and (except possibly for the shearers' choice of music) it's a lot quieter. There's a great video here. If you watch the video, pay attention to the way the shearer handles the sheep, and to the animal's complete lack of distress throughout the shearing and in the way she leaves the shearing area. The shears are—and must be!—extremely sharp (at the end of the video, the shearer touches up the blades before beginning on the next sheep). Every movement is precisely orchestrated and timed so that the shearing happens as quickly as possible and without harming the animal (or the shearer). The entire clipping takes less than three minutes. Note the way the shearer changes his own and the sheep's positions; the sheep needs to be relaxed so it will not make any sudden movements and be cut as the wool is removed. Watch especially the way the shearer moves the ears out of the way, and how he coordinates his actions when he removes the wool from the legs. There's more information on shearing here. Your friend is well intended. This is a case where an opinion about a complex topic gets formed without going deeply enough into understanding the issues and forces involved. Your friend's impulse is right: the practice is wrong. Yet the solution to this wrongness needs to be as sophisticated as the situation that it addresses, and needs to be appropriately applied, not forced into place in areas where the problem doesn't exist. Like putting out a general call against the use of all wool. What's a good path through this thicket? * Get acquainted with the sheep who are growing your wool! You can do this in person or by letter or internet. I look forward to the time when people quit docking dogs' tails and cropping their ears for reasons not directly related to the individual animal's health or safety. For those who don't want to check the Wikipedia article (chosen, as I mentioned, because of the lack of imagery) but still want a quick definition, mulesing is a surgical procedure that removes two strips of wool and related sections of skin from the rear of the sheep, where flystrike most often occurs. Mulesing must be carefully performed by specially trained and certified people. Healing takes about two weeks. There are other ways to have healthy, productive animals. As I noted, those other ways aren't easy or fast, but humans can come up with better solutions than mulesing. It's like an emergency solution to a severe problem that has gone on to become habit. Wonderful article. I often wonder what militant-vegetarians/vegans think when they try to convince people to give up all meat and/or animal byproducts. There are MILLIONS of sheep, goats, cows, pigs, chickens, etc out there that would be immediately out of work and if we humans weren't getting anything useful out of them, we'd stop feeding them/caring for them and they would die. No rancher is going to keep caring for thousands of cows he suddenly can't sell or use, right? To me, encouraging the products that do NOT require the animal to die is a GOOD thing. Eat the chicken eggs. Wear the wool. Drink the cow's milk. Give purpose to the animals' lives so that they get to keep living. People who object to the use of wool need to think these things through. Kris, thanks for your perspective. By the way, folks, Kris has lived with a variety of animals all her life (and all over the U.S.) and is finishing up a *rigorous* veterinary technician training program. --Deb: Well said. There are costs for being alive. One of those costs for humans is needing to eat to stay alive (I have more to say on that, but won't right now). One of the costs of being alive for sheep is being shorn. With some of the other animals, the trade-offs are more complicated. In this particular case, it's win/win. We do need to be more humane and conscious about our ways of treating animals, and about where, exactly, the things we are using come from. It's not just quantity of life but quality of life that needs to be part of our spectrum of decisions. I eat meat, but I do see the point of the vegans with regard to Australian merinos, which I feel are overbred. I tend to shy away from using ultrafine, merino-based wools; I ease my inner vegan by not demanding the very finest wool and using rooed or shed wool where possible. Great post - as always!! I love merino wool - and had fleeces upon fleeces from a local grower. I even got to help at her shearing a couple years - very educational. I waver on eating meat (this from someone who raised Texas Longhorns!) but sometimes my body simply craves it. Sergeantmajorette, the Australian Merinos are worth a whole study in themselves (actually, the stories of Merinos overall--throughout the world--are fascinating). Australian sheep raisers have done an amazing job of fitting particular strains of Merinos to specific landscapes and environmental conditions. What they are doing in producing such quantities and qualities of wool is absolutely extraordinary. That's part of what gives me faith that they can come up with a more advanced and subtle way to control flystrike, through a combination of breeding and husbandry. Keeping in mind that, for me, knitting and spinning are my hobbies, not my livelihood. Each dollar I spend is like a vote in the economy of fibers. The more I learn, the more I like to spend on non-Merino breeds. For me it's a combination of avoiding a monoculture of merino by supporting other breeds and also looking for wool that is suited to its likely end use. And I don't like the idea of mulesing or of flystrike, so I am fortunate to be able to pull myself out of that equation. For environmental reasons, I avoid fibers made from things that didn't start as fibers, like rayon and polyester. And I try to avoid flying for this hobby, since I already travel enough for my day job. Getting on a plane is a huge source of carbon emissions that I expect is as bad for the sheep as it is for me. That said, I will happily drive 45 minutes to be at MSW next weekend; hope to meet you there! Brava! That is a most impressive rebuttal to such a wrong-headed notion, Deb! Much better than the open-mouthed jaw-drop I pulled when confronted with this statement as I was demonstrating spinning at a public event. I think I mumbled something about "Are *you* hurt and traumatized when you get a haircut?" and bit my tongue on pointing out that only a complete idiot would buy the idea that shearing is cruel to the sheep rather than necessary for their comfort and health. Obviously they needed educating on proper animal husbandry practices. Thank you so much for your carefully reasoned arguments and I will direct folks to this post in future. Some wonderful comments to go with it too. Jaw-drop, indeed, Louisa. My daughter pointed out to me last night that some people think that sheep are killed to harvest the wool. That's so far off the radar that I simply can't fathom anyone forming the thought. Uh, no. Wool is a renewable resource. The sheep grows another warm coat for next winter, which it doesn't need come spring. . . . And the same the year after. . . .
" Know your shepherd" - that sums it up for me. As with food production, getting the product directly from the producer is fairer to everyone. Yes, all good points except for the farm animal equation dilemma - extra males. In order to keep healthy flocks, almost all males born a given year must die be they roosters or rams. True, et. In sheep, some flocks keep on the males as wethers. But that's not standard operating procedure. Thank you so much for this great rebuttal, Deb. I was dumbstruck when confronted by that vegan. Simply did not have enough information right at had to correct her but I knew she was dead wrong. In future I will point people to this post. Know your shepherd: I'm proud to be a member of the Juniper Moon Farm. Susan Gibbs, the shepherd, raises cormo sheep and angora goats. I've watched them being shorn and they are exactly as relaxed as you described which always amazes me. I am totally with you on the tail docking and ear cropping thing! Looking forward to seeing you this weekend! Dina - how will you respond to the fact that at least half of the lambs (ram lambs) are killed for meat and never even grow old enough to shear? There is no way to raise wool without taking this into consideration. et, there are a few vegetarian shepherds who emphasize the wool and keep the wethers. That isn't the industrial standard, of course. It's not a method that will work for quantities of animals when the economy values the meat more than the wool. I do think we need far fewer resources of all sorts than we think we need, assuming that we make things that are durable and take pleasure in well-designed, well-crafted items. That requires a whole restructuring of the value system that drives the economy. One step at a time. Dina, the CSA model for fiber is one that interests me a great deal, and Susan Gibbs is creative and smart in the way shes managing Juniper Moon Farm. I love the CSA model. I have participated in CSAs with two different shepherds. I have been happy to support their efforts and have been delighted with the wool that I have received in return. Totally with you on docking tails and forcing ears on dogs into unnatural positions. Neither does the dog any good. It's all for human vanity. I've been following this conversation with interested. We do eat meat. Not a lot but we do eat and enjoy it. However, I do my best to make sure that my meat and eggs were ethically produced from well cared for and naturally reared animals. Luckily this is easy for me because we have a vibrant local farmers market and excellent local farm shops. I have, however, a much harder ethical problem with milk and milk products and I say this as a person who simply adores cheese - all cheese. Dairy cattle have a much, much harder and less natural life than beef cattle and many aspects of that life are downright unpleasant to think about. So I find myself eating meat with a clear conscience but putting milk in my tea or coffee with added guilt. You're right about the general situation of dairy cattle, Alison. When I say I grew up with dairy cattle in the family, I always specify that they were *old-style* Holsteins (skipping another long discussion here). And they had good lives: I loved being with them. In most places, the situation now is different. We are fortunate where I live that we are able to know where our milk, yogurt, and cheese come from (and how the animals live)--as long as we buy locally. Sadly, it's very difficult, if not nigh impossible, here to be able to buy milk and many milk products direct from the source. The dairy industry is highly mechanised and centralised not to mention hedged about with health and safety regulations. A few years ago there was even an attempt to close down an award winning Scottish cheese maker because his cheeses were created traditionally, ie with unpasteurised milk. Truely food is an ethical minefield, even some things we think of as safely vegetarian. I suppose the best we can do is to do the best we can. Sorry I didn't get to say hello at MS&W - about the only time I wasn't there, it seems, was during your book signing! I bought a lovely silver border leicester fleece there, with blond tips - very clean. I was planning on combing it. Guess I'll wait for the book to arrive and read what you say about border leicester! I was tempted by a silver cotswold but it was huge (9 pounds) and the tips were very clotted together. Caroline, Maryland was a BLUR for me. A wonderful one, but way too much going on. The books sold out within the first hour and a quarter of the signing. Congratulations on your Border Leicester! There were some lovely ones there. Combing is a great idea.